At the invitation of Most Venerable PHRA THEPWEERAPORN, Abbot of Wat Phra Chetupon, H. E. Bishop Miguel Ángel Ayuso Guixot, (Secretary) and Msgr. Indunil Janakaratne Kodithuwakku Kankanamalage (Undersecretary with responsibility for Buddhism) of the Pontifical Council for Interreligious Dialogue (PCID) will visit Bangkok on 9th November to participate in the commemorative ceremony of the 230th Anniversary of the Royal Temple of Chetupon (Wat Pho). The delegation will be joined by H. E. Archbishop Paul Tschang In-nam, Apostolic Nuncio and Rev. Fr. Dario Pavisa, Secretaryof the Nunciature, Bangkok, as well as representatives of the local Catholic Church. The Holy See and the Wat Phra Chetupon (Wat Pho) enjoy a long-lasting friendship and mutual collaboration. His Majesty King Rama VII of the Kingdom of Thailand visited Pope Pius XI on 21 March 1934. The King gifted the Pope with a copy of Phra Malai, a sacred Buddhist Scripture written in ancient Khmer alphabets. At the request of the Vatican Museums, a group of Buddhist scholars from Chetupon Temple translated this sacred book into both the Pali and Thai languages. 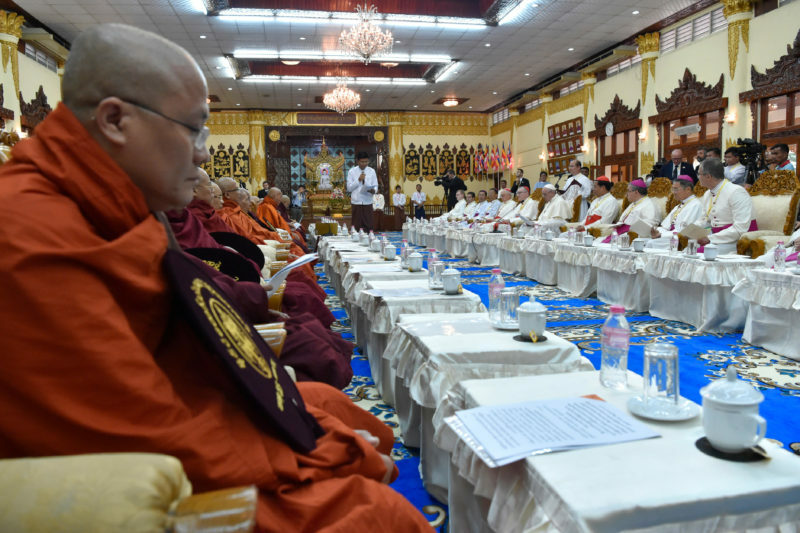 On 16 May 2018, a delegation comprising of fifty Buddhist monks, government representatives and lay people led by Venerable PHRA RAJARATANASUNTHON presented the copies of the translation to His Holiness Pope Francis during a private audience. The first delegation of Buddhist monks from Thailand visited the Vatican on 5 June 1972 and had an audience with Pope Paul VI. One of the three monks of the delegation was Most Venerable Somdej PHRA WANARATANA, former abbot of Wat Phra Chetupon (Wat Pho).